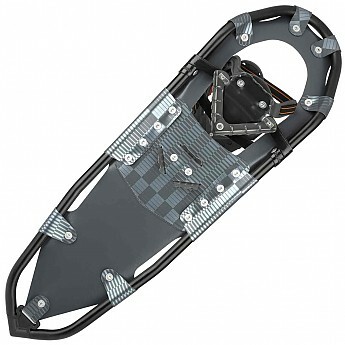 Great quality basic snowshoe for non-mountaineering use. 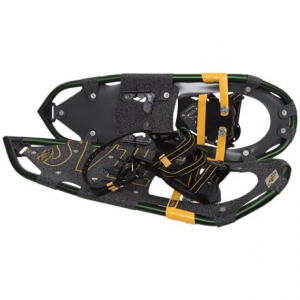 Comfortable stride and good grip, excellent bindings. 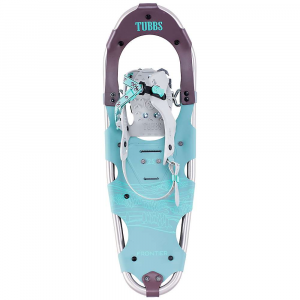 After going through three other pairs of snowshoes that failed in the field (snapped frame, broken cleats, broken straps...) I finally ended up with these. They have stood the test of time over a few years on numerous trips, are the most comfortable ones I've had, have excellent and simple to use bindings, and look cool (to me). The suspension system is really good and the toe lift is just right for a natural step. I usually forget that I have them on. 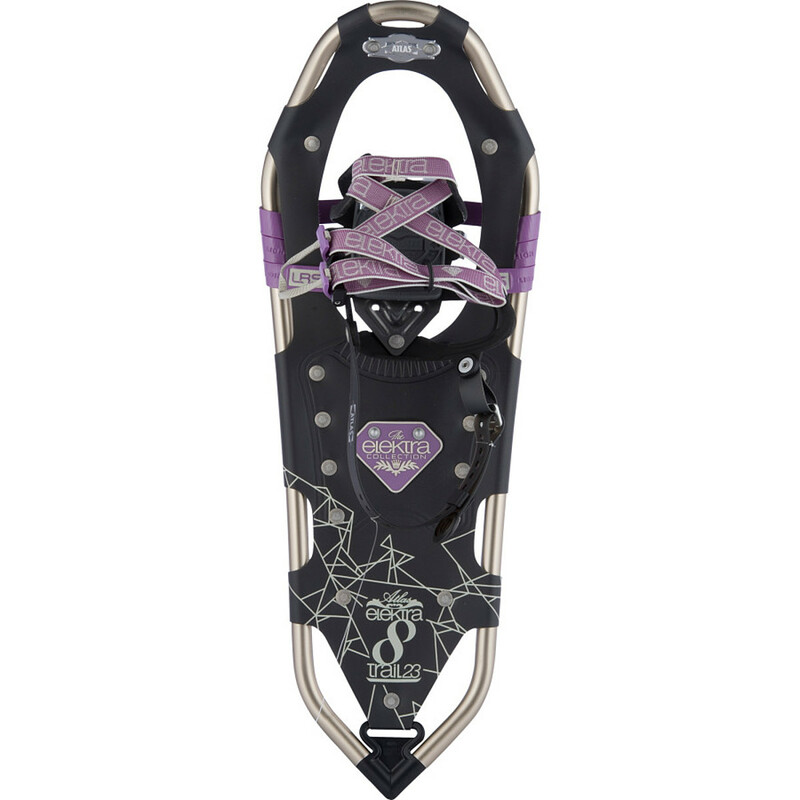 They're not made for heavy climbing, though I've climbed fairly steep slopes with them no problem. Good float and grip. The black finish on the frame has worn quite a bit, which is just cosmetic but still a bit disappointing. 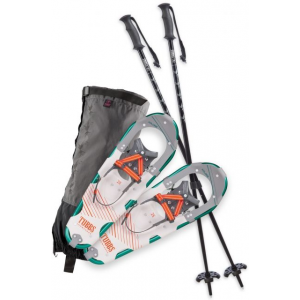 They can be had for a great price and come as a kit with poles and a carry bag which is a good grab. Thanks for the review, Dean. 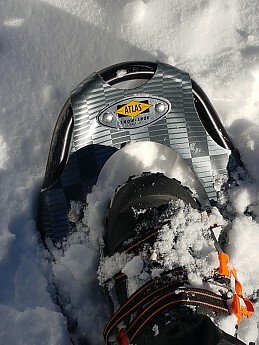 Living in Illinois, I rarely get to snowshoe, but when I do get to do it, it's a great activity. Thanks for the review, Dean. 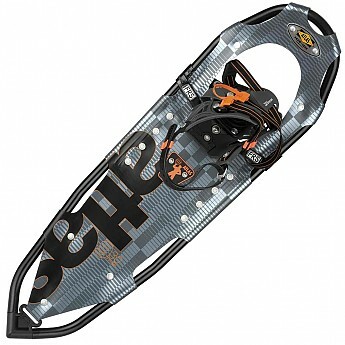 How steep of a slope have you use these snowshoes? Couldn't say in terms of actual grade, but enough that a heel lift would have been useful. The main cleats dig pretty deep. 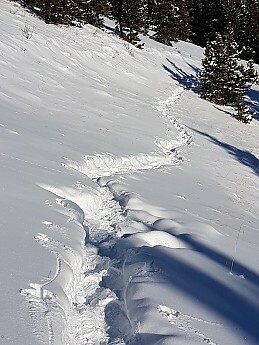 I find that with snowshoes, it's descending that is the limitation anyway...too much slope and you're practically skiing. That being said, I'm not about to risk traveling on avalanche slope anyway, and I carry climbing crampons for trickier terrain. Nice review. Any chance you'd mention the brands of the failed shoes? My first ones were McKinley, the next two were both Tubbs. 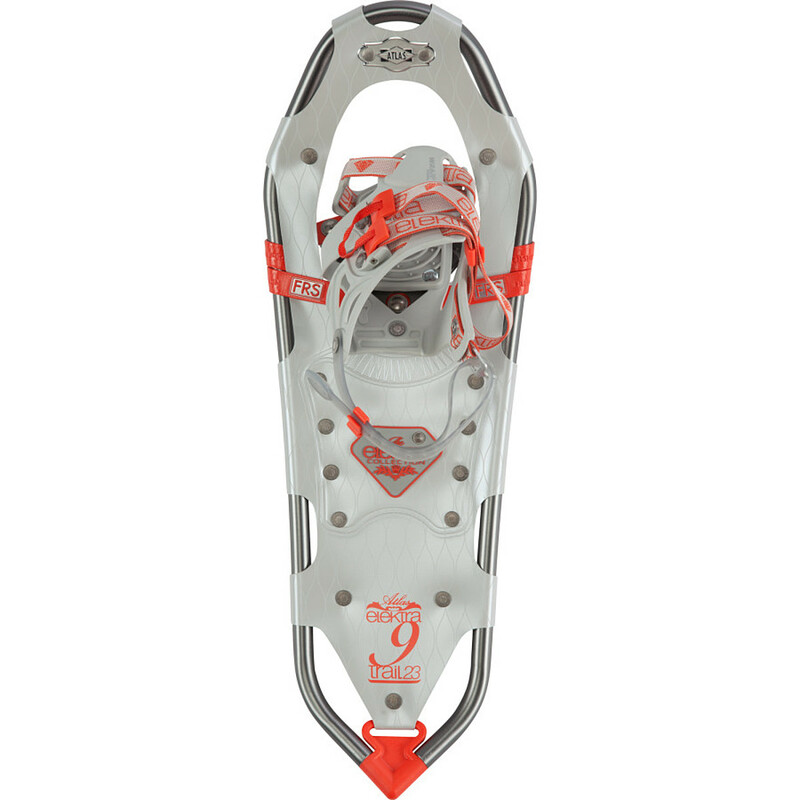 I would highly recommend that anyone wanting to snowshoe try renting some at first, and if deciding to do it a lot invest in some MSR or Atlas shoes. You get what you pay for. The Atlas Women's 9 Series is not available from the stores we monitor.